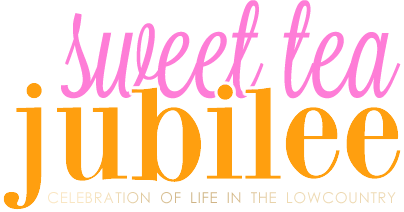 Sweet Tea Jubilee: Five on Friday! Ever since since seeing Jamie of Furbish Studio (and I Suwanee Blog) speak at the Southern C Summit a couple weeks ago, I have been eyeing just about everything from her shop! 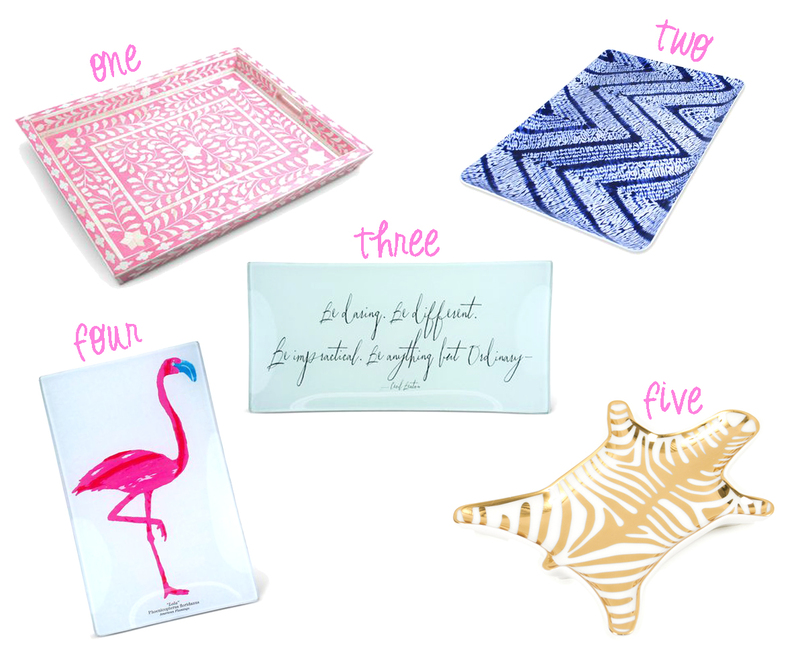 These trays are at all at the top of my wish list! P.S. Everything on their site is on sale through for Memorial Day Weekend! Use code "SUMMERTIME" for 15% off! Summertime in Charleston is already hot & humid and I'm constantly craving something cool and refreshing to eat. Pretty sure this weekend a Caprese Salad needs to be made- with juicy tomatoes, creamy mozzarella, and fresh basil- yum! What are some of your favorite summer salads?? With the official start to white jean season (though I broke mine out weeks ago- rules are made to be broken!) 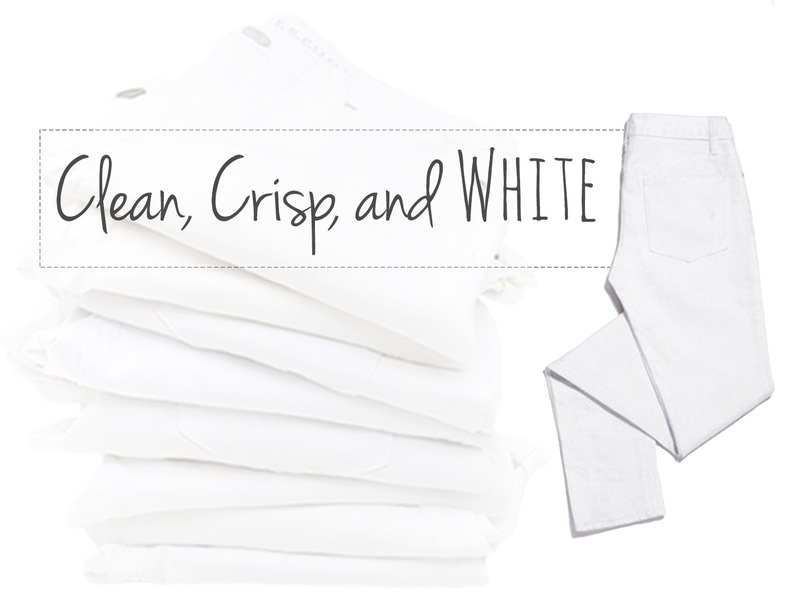 so I loved this guide on how to Keep Your Denim Clean and Crisp! Just in time for Memorial Weekend, Blue Bell ice cream has released their Red, White, and Blue Bell flavor. It is a mixture of strawberry, vanilla, and blueberry ice cream and sounds so so delicious! I haven't had Blue Bell Ice Cream in so long but I'm hoping to find this in a grocery store soon! Last but not least- I wanted to share some of my favorites from the newest Lilly Pulitzer delivery... pretty sure I need to get a second job to support my Lilly addiction, it's getting pretty serious! And especially after seeing all of these amazing new arrivals in some of my favorite colors- coral/pink, blue and white, perfect for a patriotic Memorial Weekend! I am loving all of their classic shift dresses because they can so easily be dressed down for daytime and dressed up to wear at night! 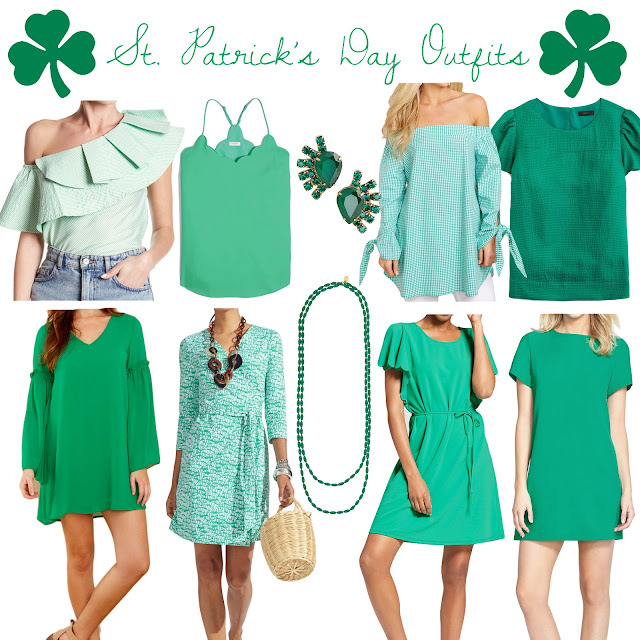 Shop some of my favorite below! I have become obsessed with Furbish Studios, all of their stuff is so cute! I'd have to agree, it's incredibly hot here already... ick, and it's only going to get hotter :) Capresse salad is my favorite! Monogram Monday and a GIVEAWAY!